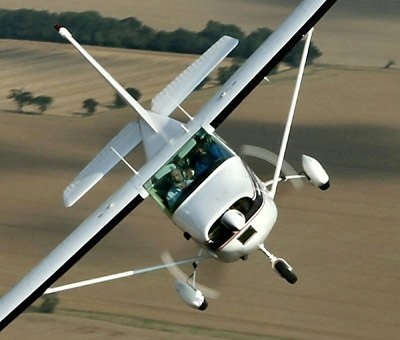 Although the Rural Flying Corps have been providing flying training at Bourn Airfield for over a quarter of a century we have now downsized to become a Flying Club where qualified pilots can rent our aircraft in an informal atmosphere in rural Cambridgeshire. 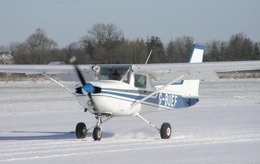 We still have a Chief Flying Instructor who is able to provide further post PPL training to improve your flying skills. 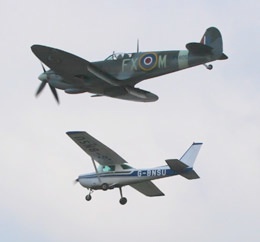 We are also able to provide biennial flight reviews and air experience flights. .
We are a small friendly club operating from part of a second world war airfield, steeped in history and benefiting from open airspace. Many of the several hundred who have obtained their Private Pilot’s Licence at Bourn have progressed to a career in commercial aviation and are now flying jet aircraft with the major airlines. Others simply fly for pleasure or continue to learn and obtain extra ratings. Looking for an exciting, unusual gift for a birthday or special occasion ? Why not give an Air Experience flight ?